It’s that time of year again! Are you and your pets as excited as we are about the Christmas season? There’s just a few weeks left to check off your Christmas gift lists, and get out there to do your shopping. 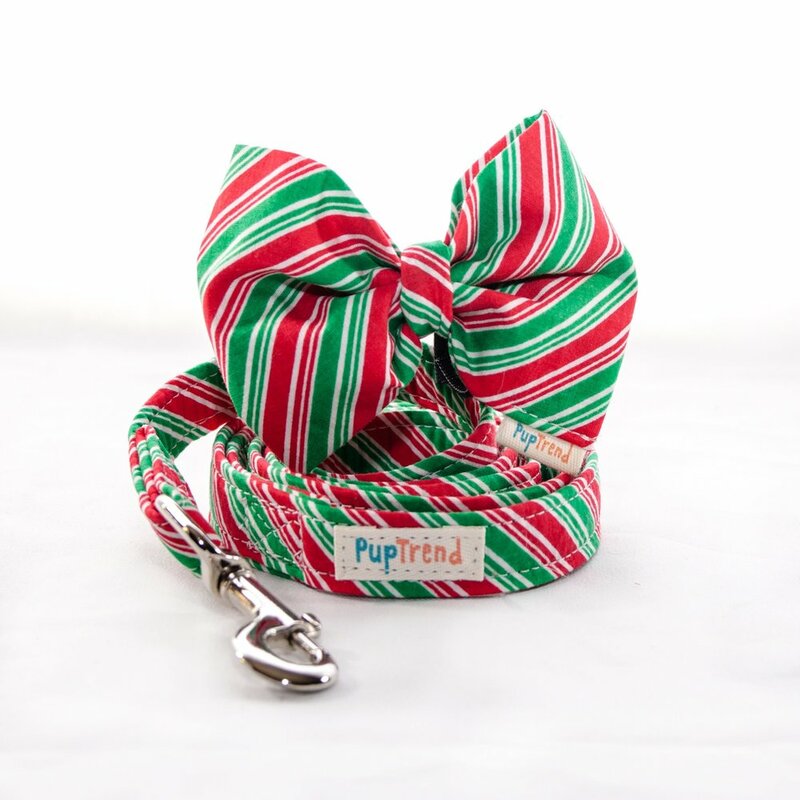 PupTrend collars are a really stylish and fun way to give your pup a bit of pizazz any season of the year, but you’ll find they’ve got some specialties here on their Etsy page that are perfect for the holiday season. Whether you’re just going to a park, or maybe have a family photo opp, there’s a bunch of fashionable styles and color varieties to choose from. They’ve even got some designs featuring different team logos and collars, for you sports fanatics. They’re also a fantastic price that will be easy on your wallet! Kong Toys has a large and versatile range of dog and cat toys that your pet will be sure to love. They’re web space is like a Toys R’ Us for pets, a whole fun-filled wonderland that seems to go on and on. The toys are cute, colorful, and practical — serving a range of purposes to keep your pet entertained and active. 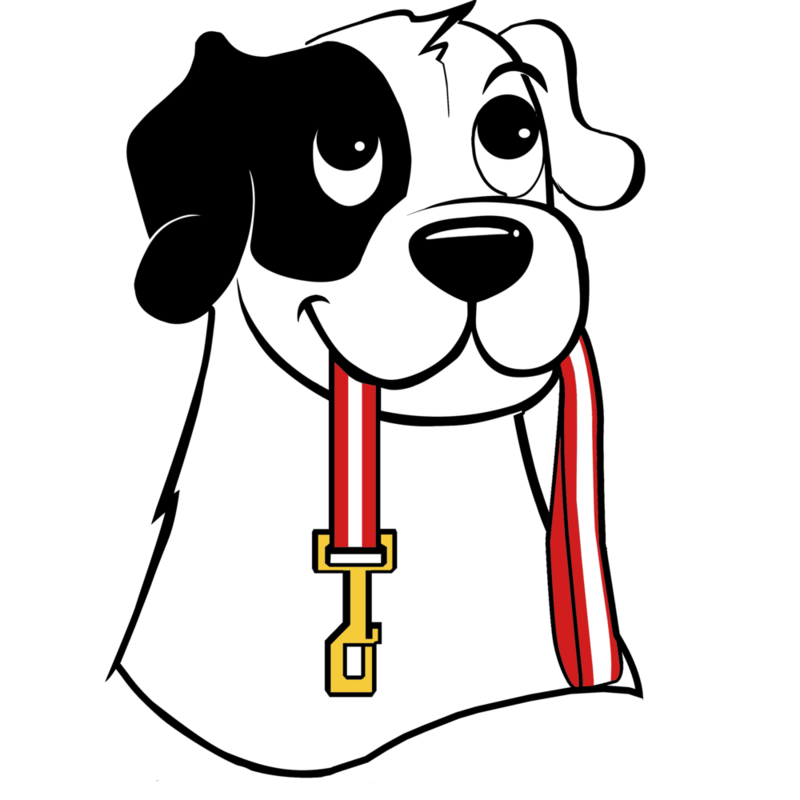 You’ll find everything from plush and stretchy animals, Crossbits to give your pup a bit of intensive play for fitness, and toys perfect for celebrations and special occasions. If Rawhide isn’t you or your pet’s thing — and it probably shouldn’t be given its potential for choking hazards and digestive obstruction for your dog — Life Abundance’s Pork Puff Snouts are the perfect substitute for your dog to have a long-lasting chew in a tasty treat. Ore loves the scent and goes bonkers for them, and they’re not greasy and leave marks on carpet or furniture fabric. It’s a simple treat you and your dog can enjoy together! Many of us grew up eating this combination and it’s simple and delicious, with ingredients most of us will have on hand anyway. But NOTE: You will only want to give your dog peanut butter in moderation, and stick to pet-safe brands. In general, avoid store-bought peanut butters that contain the ingredient xylitol — which is increasing in popularity as a sugar substitute — or chocolate, which may be found in some specialty blends. Xylitol can be very dangerous to your pet’s health, and that’s no treat! A perfect treat for in the theme of those traditional holiday dinners, these chewable treats from Life Abundance are loaded with intense flavors that any pup will find irresistible. They’ve even given the treats a touch of smoke and some pumpkin. The berries also provide your dog with needed antioxidants. They are grain-free and use free-range turkeys, with just a touch of molasses for a sweet finish. Holiday love in a treat for sure! 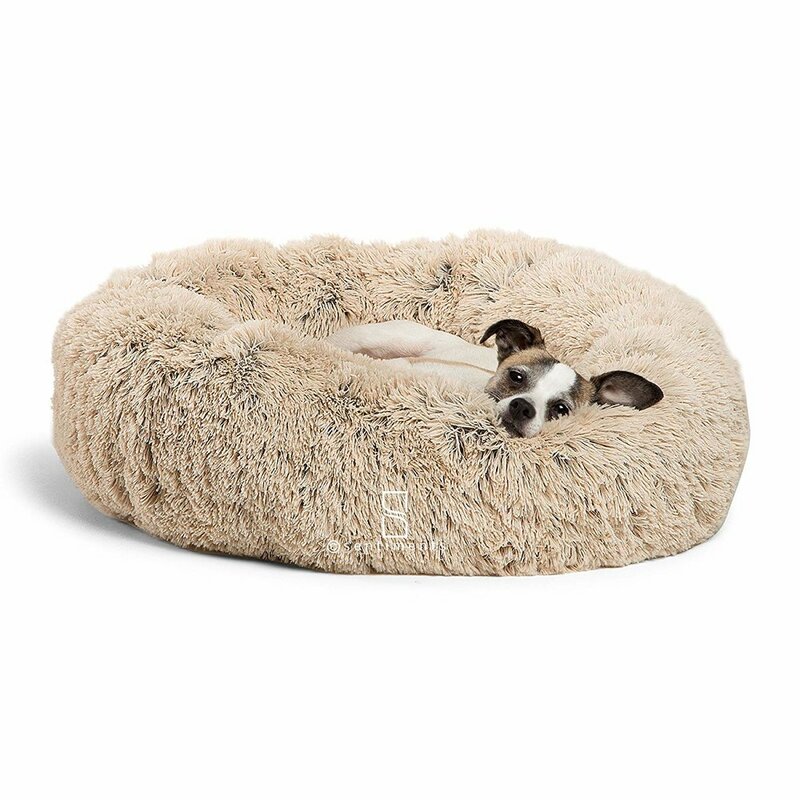 Dog beds aren’t just important for your dog to have a proper place to rest away from your furniture — where they’re likely to leave behind dander, odors, or worse! — but they also serve an important role of giving your dog a place to relax and rest that supports their joint health. Hard and cold floors can be rough on your pups joints over time, so you’ll want to make sure your go has a perfectly plush and supportive bed to sleep on. This Donut Cuddler is soft, plush, with a material reminiscent of a mother’s fur coat, and it comes in a variety of sizes. It’s also durable (though maybe not so much for dogs with heavy teething or chewing behavior) and totally machine washable. Practical and comfortable. Tell us in the comments below what some of your favorite gifts and treats for your pets or your friend’s and family’s pets might be. We’d love to hear from you! And if you’ve got holiday plans to travel and haven’t found the care for your pet just yet, be sure to contact us for all your pet sitting needs. Happy Holidays to you and your entire family!